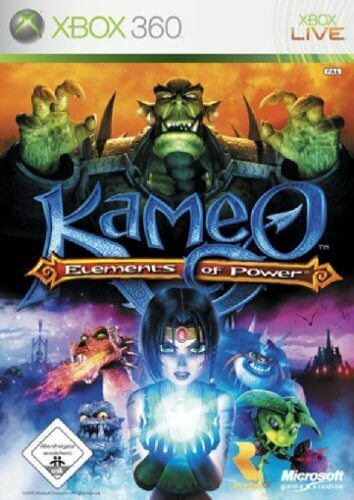 Here it is, the last of my Kameo edits. I've effectively had several dry runs at this particular format as you can see from the other videos on this website, so it wasn't a stretch to know exactly what was needed. I put together a plan on paper that highlighted all the major themes, features and scenes we wanted to cover within the 90 seconds of screen time. I made a timed out video that pin pointed the exact edits for all those features. Steve then adapted one of his best pieces of music to fit and later recorded it with a full orchestra. I did some Final Cut Pro training for our HD edit suite and as the game neared completion I started capturing the material. The final orchestration varied a little from the timing of my plan so I broke down the soundtrack and re-worked the video, then I edited the footage along side it. This gave me very accurate timings to hit all the major musical cues. A week or so of capturing, editing, feedback and pick-up captures and I was almost there. However putting heavy action footage against music like this usually feels a little detached on it's own, so I added a few key sound effects alongside the sound captured with the footage where it was needed and the two felt much more grounded. The video did the rounds and seemed very popular. A few tweaks later and a surround mix of the audio and it was finally finished.